TMZ Sports has learned is signed on to fight at UFC 235 in March ... as long as the Nevada State Athletic Commission gives him the green light. As we previously reported, several UFC fighters to get a crack at Jones after he returned from his suspension to beat up Alexander Gustafsson at UFC 232 last month ... including Luke Rockhold, Corey Anderson and Smith. But now, we've confirmed ... Jon's next opponent will be 30-year-old Smith, who's currently on a 3 fight win streak after beating Volkan Oezdemir, Shogun Rua and Rashad Evans. We spoke with , who tells us ... "Later this month, Jon Jones will file an application for licensure with the NSAC in order to compete at UFC 235 in Las Vegas, Nevada on March 2nd." 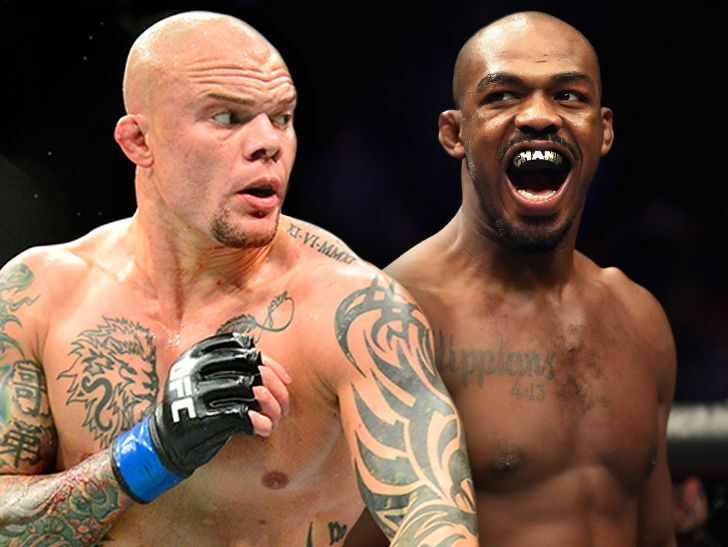 "Provided that license is granted, Jones will be defending his Light Heavyweight title against Anthony Smith in a 5 round main event at the T-Mobile Arena." The issue with the Commission is that Jones tested positive for tiny traces of the anabolic steroid Turinabol just days before UFC 232 -- but the Nevada Athletic Commission couldn't convene for a hearing on such short notice. UFC went to the California State Athletic Commission, which WAS able to examine the issue and after weighing the evidence, ultimately decided to grant Jones a license. The CSAC officials say multiple experts concluded the traces of Turinabol were left over from a previous positive test -- meaning Jones did not consume the PED for the UFC 232 fight. The expectation is the Nevada Commission will see it the same way as California and approve Jones, too. Smith is currently the #3 ranked light heavyweight -- and just last week told TMZ Sports . He also told us he wasn't impressed with Jones in the Gustafsson fight.